Could Singapore actually be ahead of the new-shoe-release-curve for once? As unbelievable as it might seem, this looks to be true! 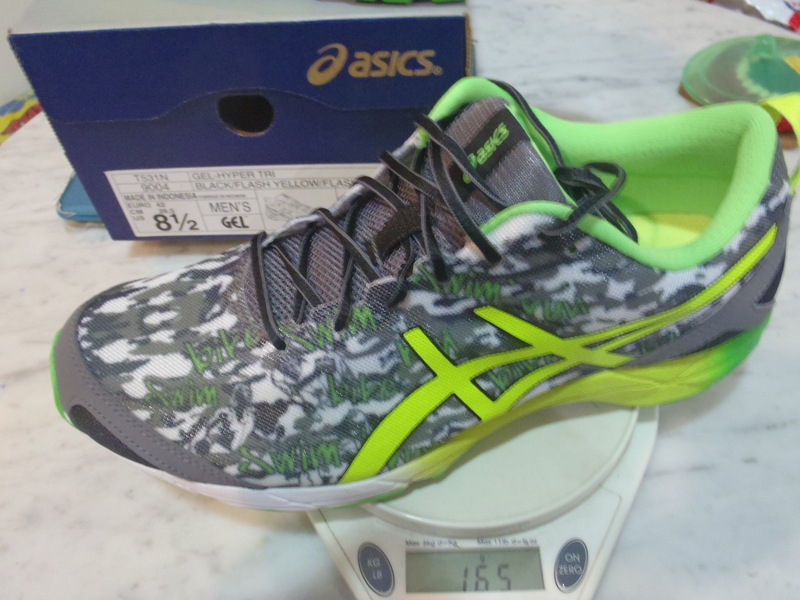 A quick search for “Asics Hyper Tri” either turns up a list of unrelated links or an “Available in Jan 2015” message. 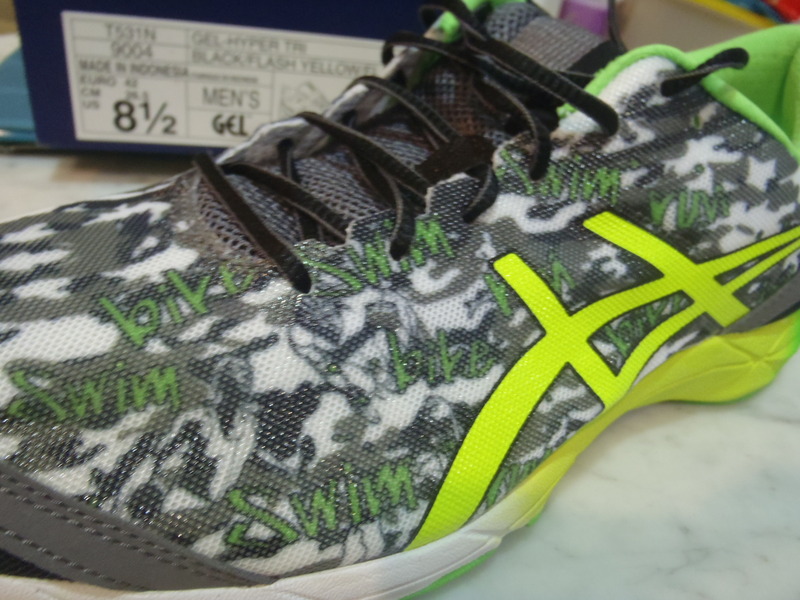 So here’s a quick heads-up on Asics’s new triathlon specific offering for Spring 2015 – the Hyper Tri. At first glance, the new Hyper Tri bears a striking resemblance to the 2014 Hyperspeed 6. The outsole is almost identical, down to the drainage port. Heavy sweaters rejoice! While the Hyper Tri is a neutral shoe and has the same 6mm heel drop as the Hyperspeed (according to Running Warehouse), the Hyper Tri packs more cushioning than the latter (4mm more to be precise). You feel the additional cushioning immediately, making this feel far more like a all-purpose lightweight trainer rather than single function race day shoe. The men’s Hyper Tri is unlikely to win the “Best Looking Shoe” award, although the women’s model does fare better. However, the Hyper Tri certainly runs better than it looks. It also features a different overlay pattern than the Hyperspeed. Some of the stitching over the toe box has been moved to make it even more suited to sockless use. 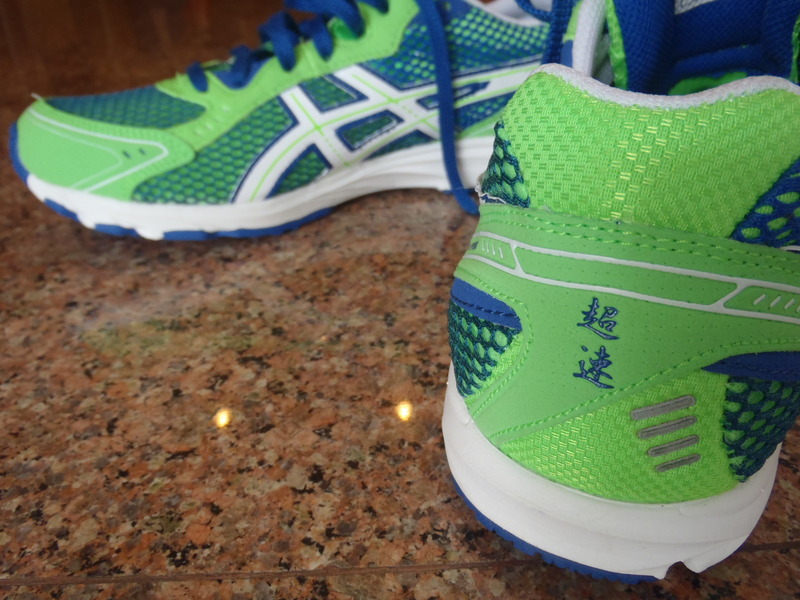 Asics users will find the Gel cushioning familiar and the shoe is fairly responsive. In some ways, it reminds me of the New Balance RC1400. 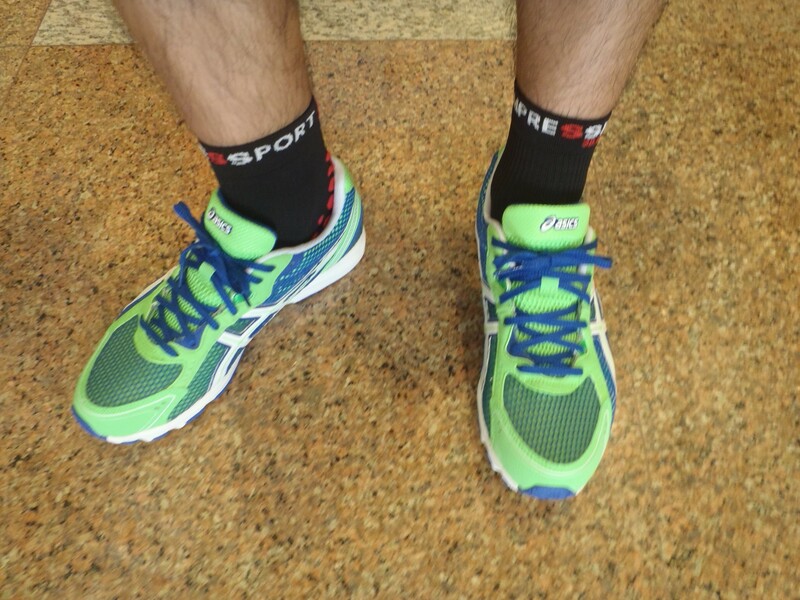 The Hyper Tri has a fair amount of cushioning and is firm underfoot for the longer runs. It is also nimble enough for your speedier workouts. Save your $$, it comes with elastic laces! 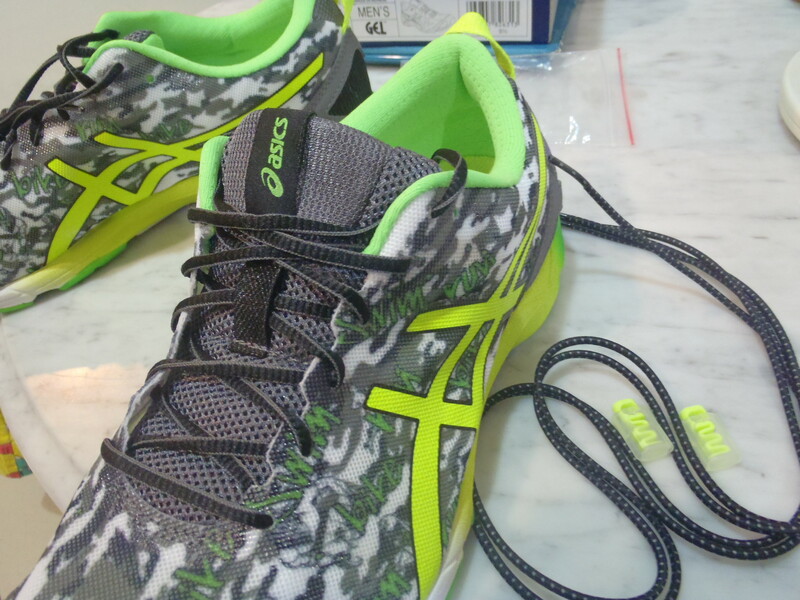 Just to drive home the message that Asics is serious about triathlon, the shoes also come with a pair of elastic laces. The addition of the heel and tongue loop should make transitions a breeze. If you’re familiar with the Hyperspeed 6, you can think of the Hyper Tri as the beefier cousin that spent a lot of time working out in the gym. They are more cushy, in the upper and in the midsole, making the Hyper Tri a bit more comfortable as compared to the stripped down Hyperspeed 6. The toe box is pretty generous as well. It’s a nice, fast, lightweight addition to the Asics triathlon line up that for so long, only offered the fairly chunky Gel Noosa Tri. The Hyper Tri runs about a half size small (I am a US 8.5 in almost everything but will wear a US 9.0 in these), even if you’re not going to wear any socks. They are available in men’s (US 7.0 – 11.0) and women’s (US 6.0 – 9.5). The Asics Gel Hyper Tri is available in store now and retails for $169. We’re in between seasons (Summer & Fall) so that usually translates to a lull in shoe selection till the new releases drop in the coming months. 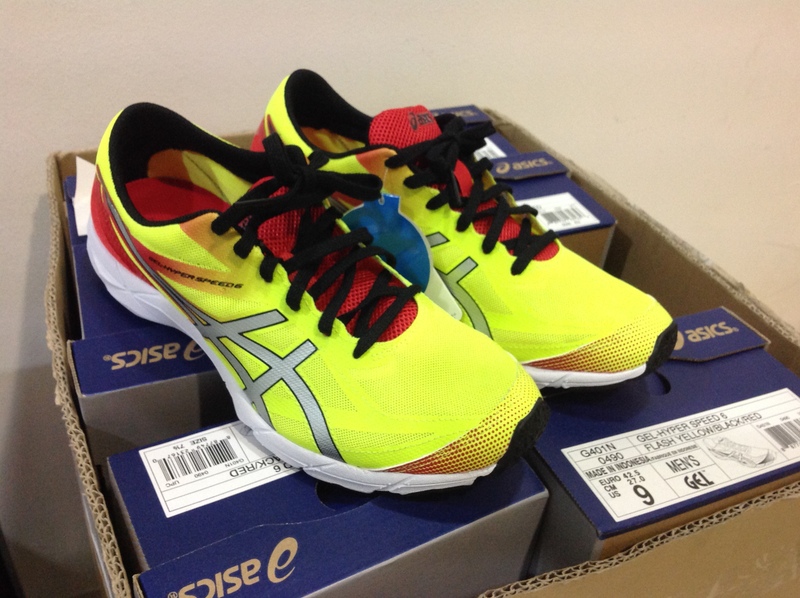 In a change up from the usual brands that are featured at The Runner’s Gait, we’ve actually brought in a pair of Asics. 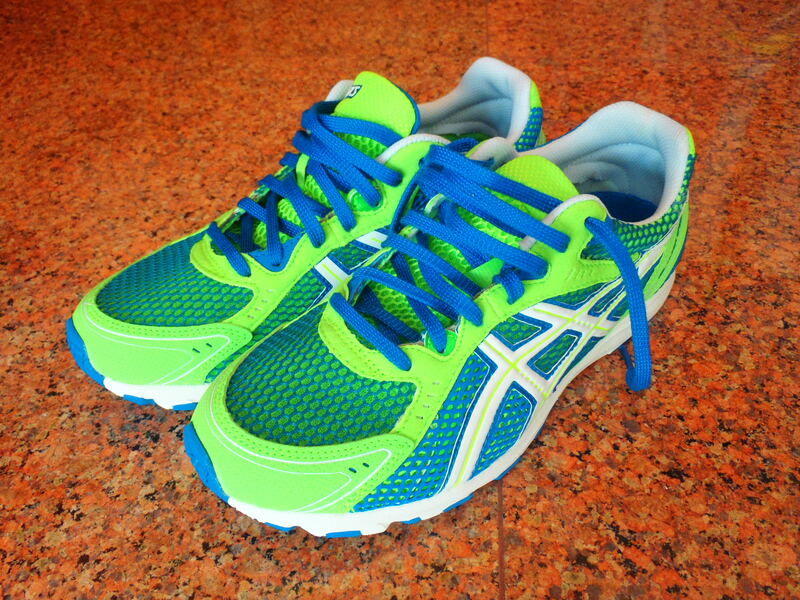 The Asics Hyper Speed 5 (HS5) is not a new shoe and is in fact, being replaced by the Asics Gel NoosaFast. But quality transcends time and though we might be late to the party, the HS5 definitely deserves a look at. 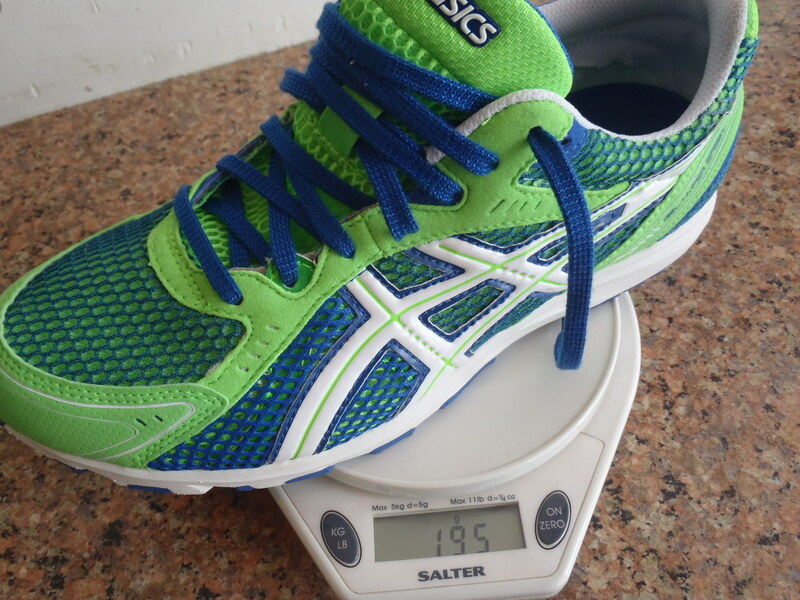 At 195g for a US8.5, this is a pretty light shoe. It is going to fit in some where between the flat out racers (A5, RC1600) and the lightweight trainers (Kinvara 3, Adios 2). The HS5 is similar to the very popular New Balance RC1400, both in terms of it’s weight and usage as a race-trainer. While it has a heel drop of about 6-7mm putting it on par with many of the racers currently on offer, the SpEVA midsole provides the HS5 with a substantial amount of cushioning and good energy return. I was pleasantly surprised by the comfort of the fit as well as the responsiveness of the shoes while I took them for a quick spin on the treadmill. The cushioning of the HS5 was more plush than I was expecting but took nothing away from the good sensations I was getting from this pair of shoes. Fit-wise they are true to size and have a slightly wider toe box (for a racer/LT). The breathable mesh upper is not as fancy as some of the newer shoes, utilising some traditional looking overlays and stitching, but is very comfortable. The heel cup provides a nice amount of support and I didn’t experience any heel slip during my 2mins on the treadmill. One of the features that has been a source of debate among users of the HS5 has been the vented Magic Sole. Triathletes and runners with a high sweat rate rejoice! Designed to improve breathability and let any water/sweat drain out of the shoe, step into a puddle and surprise surprise – water goes in too! The HS5 is a neutral shoe and those grey coloured bits help to improve torsional rigidity (similar to the adidas Torsion system). 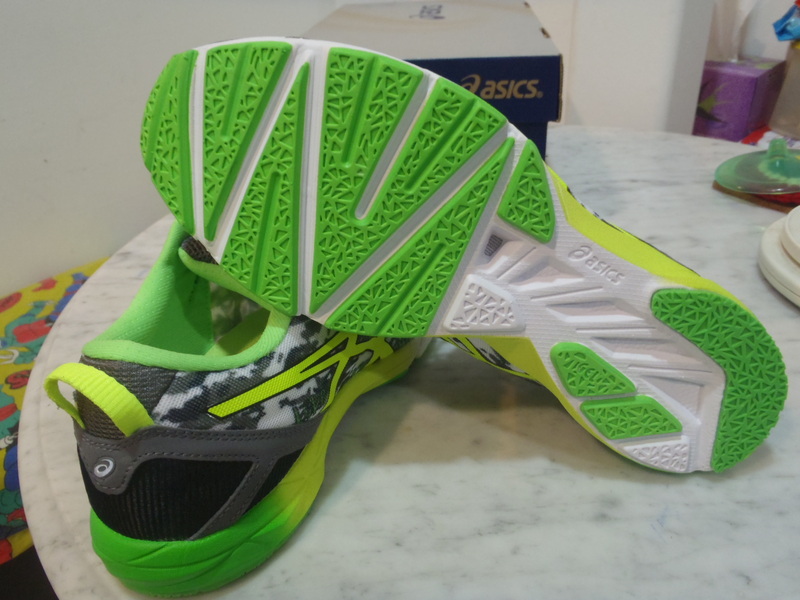 It has Asics High Abrasion Rubber (AHAR) in the heel area and Wet Grip outsole for improved traction on wet surface. The last Asics shoe I used was the DS Trainer 9 back around 2005 and the HS5 is a nice departure from the usual Asics shoe in the market that are usually loaded with cushioning and support features, plus a fairly hefty price tag. If you’re looking for shoes that can take you through to those longer races or a solid lightweight trainer for speed work, the HS5 will fit into your shoe line up very nicely. The HS5 is not the most high tech shoe available but it is a simple shoe that works very well. Pete Jacobs (2012 Ironman World Champ) and Ryan Hall (fastest American marathoner) have used the Hyper Speed 5, so it can’t be too bad! It’s a bit of controlled aggression for when you need to go fast without beating your feet up. 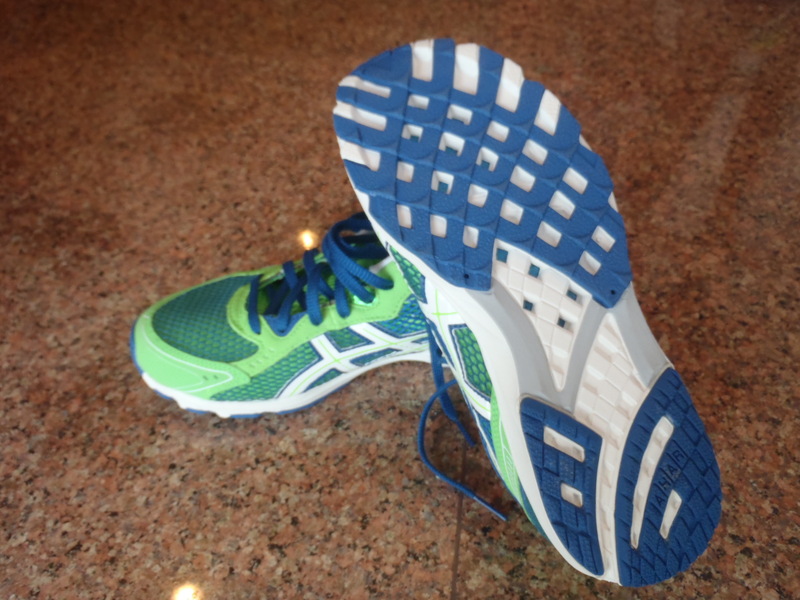 The Asics Hyper Speed 5 retails for $159 and is available at The Runner’s Gait.